An international flotilla of new spacecraft — orbiters and landers — is slated to arrive at Mars in 2021, creating an unprecedented telecommunications challenge for NASA’s Deep Space Network (DSN). These spacecraft all need to communicate with Earth en route to Mars, requiring large amounts of telemetry and tracking after launch and then on approach to the red planet. The sheer number of Mars-bound craft, launched by multiple nations, may stress NASA’s ground tracking network and capabilities of international partners. 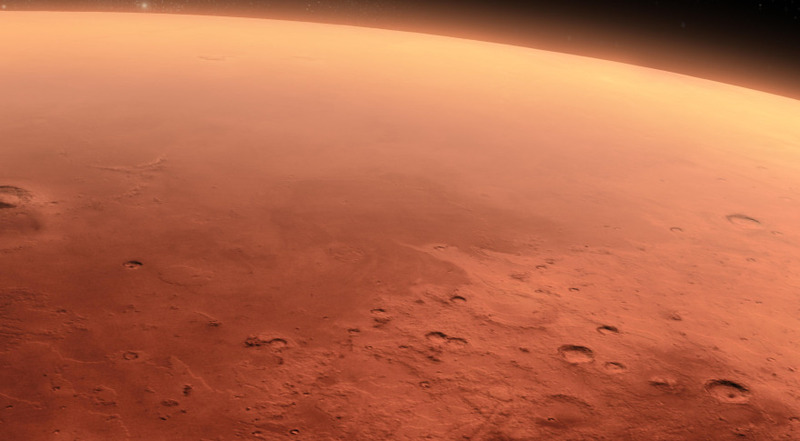 That list of Mars missions launching in 2020 is long. It includes NASA’s Mars 2020 rover, the European Space Agency’s ExoMars 2020 rover and surface platform, China’s orbiter/lander/rover, the United Arab Emirates’ Hope orbiter and India’s Mars Orbiter Mission-2. In addition, SpaceX is planning its first Red Dragon Mars lander in 2020, having delayed the mission from 2018. Furthermore, at the time of the new arrivals, a large number of other missions may well be healthy and functioning in Mars orbit, including NASA’s Odyssey orbiter, the Mars Atmosphere and Volatile Evolution Mission (MAVEN) orbiter and the Mars Reconnaissance Orbiter (MRO). There’s also ESA’s Mars Express orbiter and Trace Gas Orbiter, and India’s first Mars Orbiter Mission. Toss in for good measure NASA’s two operating surface machines, the Opportunity and Curiosity rovers, along with its Interior Exploration using Seismic Investigations, Geodesy and Heat Transport (InSight) spacecraft. InSight will launch in May 2018 and land on Mars six months later. “That would be six separate arriving missions representing six different spacefaring organizations, encompassing nine individual spacecraft, along with up to nine other missions already in operation,” said Charles Edwards, Jr., Manager of the Mars Relay Network Office and Chief Technologist for the Mars Exploration Directorate at the Jet Propulsion Laboratory. That Martian armada will put stress on the DSN, a network of large radio antennas used to communicate with Mars and other interplanetary spacecraft. Operated by JPL, the DSN consists of three facilities at Goldstone, near Barstow, California; near Madrid, Spain; and near Canberra, Australia. JPL is now performing a detailed study of how best to handle the influx of new probes at Mars, coupled with spacecraft now orbiting and wheeling about on the planet, most of which plan to use the DSN. “The two periods of most interest are summer 2020, when the Mars missions are expected to all launch in a restricted timeframe, and early 2021, when the Mars missions will all be arriving at Mars to either land or enter Mars orbit,” said Stephen Lichten of the DSN Project, manager for special projects at JPL. The study is delving into both nominal and off nominal scenarios, Lichten told SpaceNews. Off nominal scenarios, he said include spacecraft (Mars or non-Mars) anomalies that typically require immediate and concentrated deployment of DSN antennas to help recover the spacecraft. Also, there can be issues with the DSN itself, be it unexpected maintenance or downtime for an antenna, unusual weather, and power or network outages. “The DSN has considerable experience with planning for and coping with these types of unexpected occurrences, and while they are not common, we know approximately how often to expect them, so we can plan for them in a probabilistic way,” Lichten said. The DSN has documented processes for triaging these situations, Lichten said. “However, the sheer number of Mars and non-Mars missions that will be active in 2020 and 2021 puts us in something of a new regime, so we are re-examining existing procedures and there will be adaptations as necessary,” he said. The onslaught of so many Mars missions raises several issues, said Bruce Jakosky, the principal investigator of MAVEN at the University of Colorado’s Laboratory for Atmospheric and Space Physics in Boulder. The second concern is communications with Earth via the DSN, Jakosky said. With so many orbiters operating, it isn’t obvious how the DSN will handle simultaneous two-way communications with all of them, he said. There is a desire that Odyssey and MRO will still serve as communication relays, Jakosky said. However, both spacecraft, in Mars orbit since 2001 and 2006 respectively, will be old by then. “MAVEN should still be operating, we hope, but we’re still analyzing what our relay capabilities will be and from what orbit. Plus, MAVEN has a fixed antenna and does not have the capability of simultaneously doing relay service and carrying out its own science,” Jakosky said, a situation unlike the other orbiters. Lockheed Martin Space Systems in Littleton, Colorado, operates the Mars Reconnaissance Orbiter, Odyssey and MAVEN spacecraft via a Mission Support Area. According to Guy Beutelschies, the forthcoming flood of new Mars orbiters and landers represents both a challenge and opportunity. “We have been operating orbiters continuously out at Mars for 20 years now and we’re still learning how to best provide support for other missions,” Beutelschies said. The company also has a history of handling entry, descent and landing at the planet, such as the Phoenix Mars lander that touched down in May 2008 and the soon-to-fly InSight spacecraft. ESA’s ExoMars Trace Gas Orbiter that entered Mars orbit in October 2016 carries two relay radios provided by NASA. That hardware was tested at Lockheed Martin Space Systems facilities, Beutelschies said, to assure relay compatibility in passing data back and forth between Mars and Earth. “There is no substitute for testing. It’s extremely valuable to go through that process. We learned a lot on both sides,” Beutelschies said. As for the impending Mars telecommunication traffic in 2020 and 2021, JPL’s Edwards said there’s an absolute need to multinationally integrate the ability to download and upload data from orbiters and landers. Key to this has been the efforts of both NASA’s DSN and ESA’s ESTRACK ground antennas, and the broader international community, to establish interoperable space communications protocols, Edwards said. Plans call for offering DSN support to NASA, ESA, SpaceX, the United Arab Emirates and Indian Mars missions in this time frame, Edwards said, based on these interoperable services. The DSN has also recently rolled out new techniques such as “Multiple Spacecraft per Aperture,” JPL’s Lichten said, enabling as many as four spacecraft to be tracked simultaneously when they are in close proximity in the sky. That allows a greater number of missions to be supported with the ground assets available, he said. “We can also work with the interplanetary missions, both NASA and non-NASA, to adjust launch or arrival dates to try to avoid having too many critical events in a short time interval,” Lichten said. JPL’s Edwards told SpaceNews that the closest the DSN has come in the past to this intensity of traffic was in 2003 and 2004. In that time period, NASA delivered the Mars Exploration Rovers Spirit and Opportunity around the same time as ESA’s Mars Express orbiter and Beagle 2 lander. They arrived while NASA’s Mars Global Surveyor and Odyssey spacecraft were already orbiting the planet.